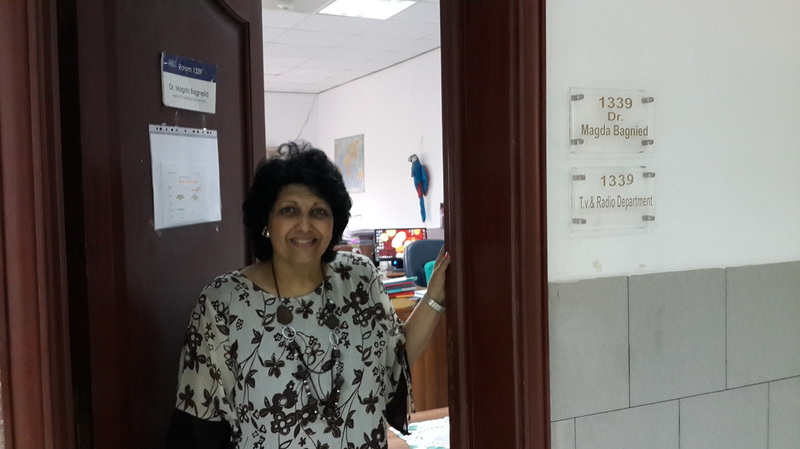 Doctor Magda Bagnied graduated in 1974 from The School of Mass Communications from the American University in Cairo. She further completed her master’s in 1976 also from the American University in Cairo and then obtained her doctorate in Radio and Television from Cairo University. In the same year she got her Walter Williams’ Fellowship from the University of Missouri. Just recently, 2 years ago, she became a Fulbright Alumna and Scholar in Residence at Elizabethtown College. There she set out to change the students’ understanding of Egypt and the Middle East giving speeches about: Islam, the Middle East and the Egyptian Revolution in multiple universities, colleges, and community centers. For the 3 years after her master’s, she started working as an Assistant correspondent for ABC and NBC News and in 1983; joined the American University in Cairo as an Affiliate Professor at the Mass Communication department. She worked as the Communication Media Coordinator for the International Conference of Medical Emergency Services in 1997 and in 2005 she was chosen as the public awareness consultant for the South Sinai Regional Development Program. 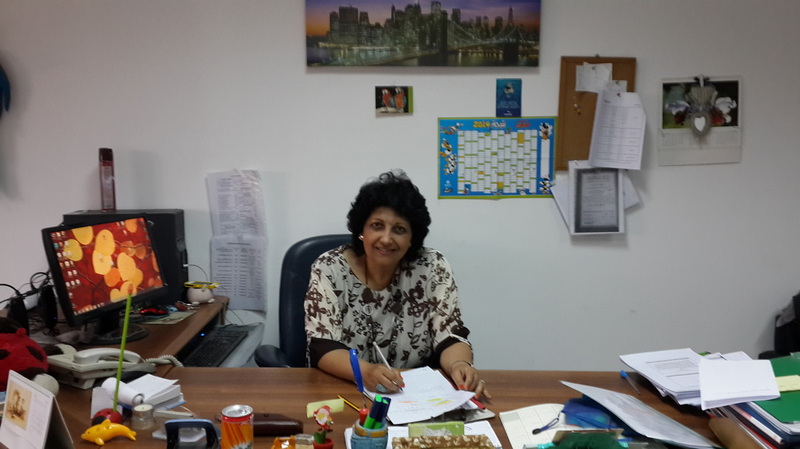 She currently is the head of the Radio and Television Department at Ahram Canadian University. She loved how AUC was a small community at the time making the entire department feel like home. She emphasizes that the keys to success are in learning as much as possible, obtaining general knowledge, mastering more than one language, and keeping up with technological advancements. An excerpt of my interview with Dr Magda Bagnied. Me and Dr Magda in her office. Photo taken by her favorite student. Dr Magda welcoming me to her office. Finishing off some work before our interview.